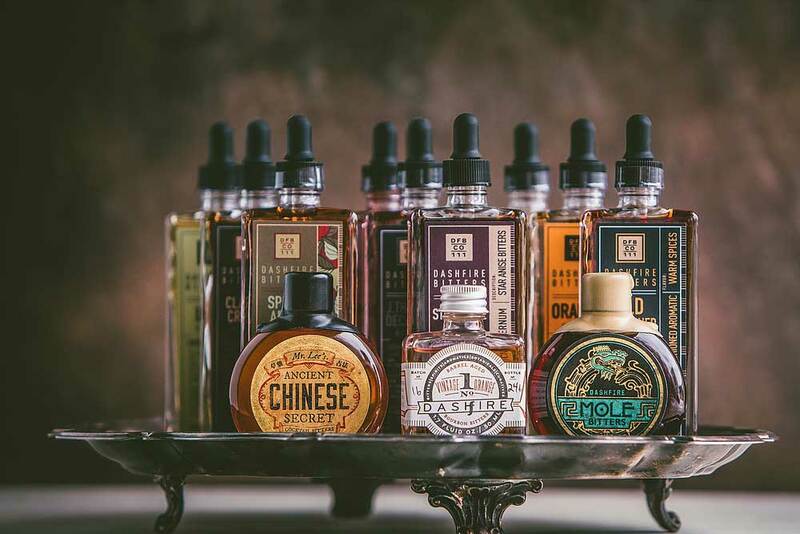 The producer of the largest selection of bitters in the world to be distributed nationally by Vision Wine & Spirits, LLC. Minnetonka, MN ∙ 01/29/2019 – The ‘Bold North’ of Minnesota is where Lee Egbert calls home. He and his wife, Dawn, are the forces behind Dashfire Bitters. Lee is driven by an unending curiosity coupled with an appetite for travel and a desire to learn all he can about the flavors and spices of different cultures. Lee lived in China for a year and a half, and has also travelled extensively in Thailand, Malaysia, India, Sri Lanka, Morocco, Spain, Portugal, Italy, Mexico, Guatemala, and Belize, where he had the opportunity to learn first-hand about local herbs and spices as well as spirits and food. The inspiration for all Dashfire products is drawn from these experiences and flavors. Additionally, Dashfire produces Egbert’s Cocktail Cherries, and will also be releasing a line of high-proof, Ready-to-Pour Cocktails in 2019, building off their knowledge of blending flavors to create high-quality craft cocktails. Vision Wine & Spirits, LLC is a division of the Martignetti Companies, the 7th largest distributor in the United States, with corporate offices in Taunton, MA. Vision sells to over 150 wholesalers in all 50 states.